Reacting to the comments made by the Minister for Agriculture Simon Coveney TD at today’s Oireachtas committee discussion on Budget 2014, Irish Farmers Association (IFA) president John Bryan said the minister must stand up for agriculture at the Cabinet table and ensure that farm schemes, including disadvantaged areas, agri-environment schemes and the sheep grassland scheme, are fully protected in Budget 2014. According to the IFA, analysis shows that farm schemes have taken the brunt of the minister’s cuts in recent years. Its statistics show proportionate Exchequer spend on agriculture since 2004 has fallen by 25 per cent (from 3.04 per cent in 2004 of the total national budget to 2.26 per cent in 2013). Since 2008, the agriculture budget has been reduced by a greater percentage than any other major government department, with total funding cut by 41.2 per cent, compared to an average reduction across all government departments of 12.6 per cent, it found. “Within the agriculture budget, farm schemes such as disadvantaged areas, suckler cow welfare and REPS have been targeted for disproportionate cuts, which have hit farm incomes hard. Total expenditure on farm schemes between 2011 and 2013 has fallen by 18 per cent or €119m. 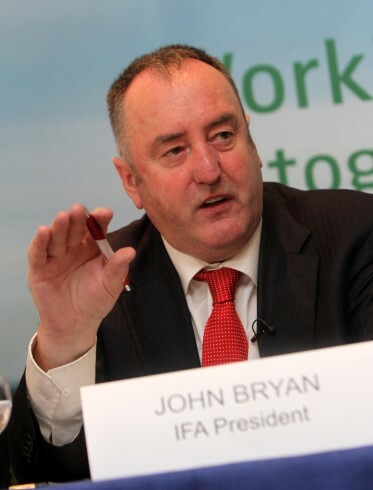 This compares to a reduction in expenditure of 8 per cent, or €60m across all other budgetary headings within the agriculture budget,” Bryan said. 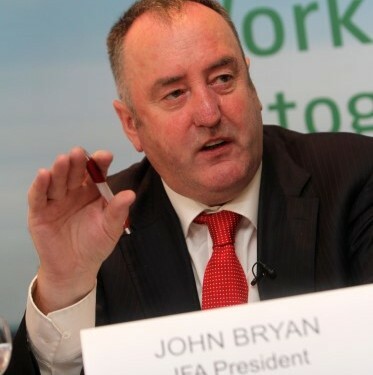 The IFA President also called on agri-environment payments for farmers whose contracts finish at the end of the year are allowed a rollover in 2014. Some 13,000 farmers are moving out of REPS this year. “It is unacceptable that farmers who have environmental designations and restrictions imposed on them would not have a scheme to compensate them for their losses next year. On TAMS, there is a significant underspend and the Minister has to introduce greater flexibility for applicants,” Bryan added. Budget 2015 will be announced on 15 October where all measures will be outlined in detail.